No two websites seem to be created equal, and sometimes, it doesn’t seem to matter how much or how little you paid for yours, there’s always something that frustrates you. The truth is that all websites have to change and move on as our businesses grow and change, and as website technology changes, so it’s good to periodically review your website or website service provider. If you can answer ‘yes’ to any of the following 6 things, it may be time to look for a new website to power your business forward. 1. 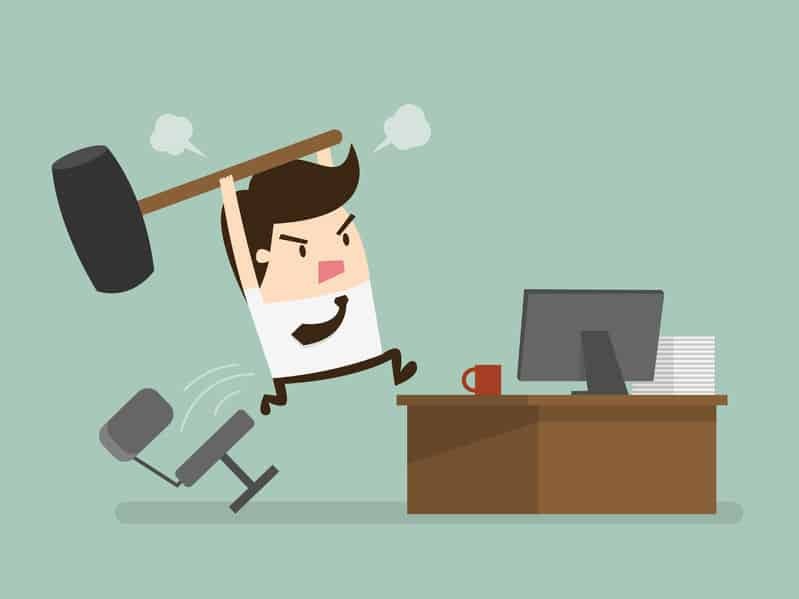 Is your website too difficult to update? This may be for a variety of reasons, but it’s usually the number one reason that prompts people to look for a new website. Many of the clients that come to us have told us about their previous websites either being too difficult to update themselves, or it was too slow, costly or difficult to get the site updated through their website developer. It may be that your website doesn’t allow you to edit the content visually, meaning it takes much longer to get things looking the way they do in your head, or perhaps the tools are just lacking, or unintuitive. 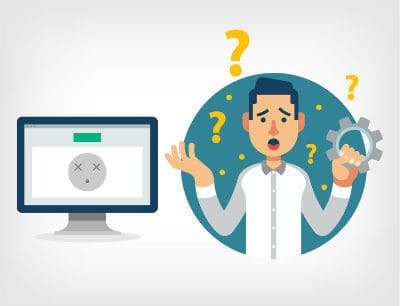 If you get a website designer or developer to maintain your website for you, it may be that they take forever to respond to your requests, interpret them in a way that conflicts with your requests, or they charge far too much for far too little. 2. Is your website lacking mobile responsive features? Google is now actively penalising websites in it’s ranking algorithm that don’t have mobile responsive designs. The reason for this is that more people browse the internet on their phones and tablets now than desktop computers, so if you’re missing out on enquiries, sales or signups, this could be a big part of that. The best mobile responsive websites adapt to the screen size of the user’s device so that regardless of which of the many available tablets or phones a site is being viewed on, it will fit. However, just because a website has mobile responsive features, it doesn’t necessarily mean that they will have been implemented properly. You may have a responsive theme, but it usually takes a developer to know how to configure the theme so that it looks good at every single point of the browser width changing. This can also include choosing how to show a mobile-friendly menu, and whether certain page elements like images, banners or pop-ups should be visible or hidden for mobile devices or tablets. 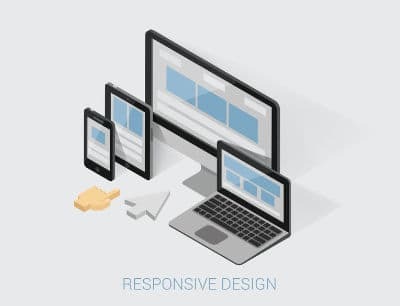 Often it’s less hassle to move to a new theme or website design than to pay a developer to make your non-responsive website into a responsive one, so particularly if your site is fixed width, it could well be time to move on. 3. Does your website load slowly, or is your hosting unreliable? You’ll find many differing stats on the web about how many seconds your website should load in. Typically, people now expect a website to have loaded within 5 seconds. That doesn’t sound like much, but as we mentioned above, most web users are on mobile devices now and being on the go means you usually have less time to wait for things to load. If your website takes longer than 3 seconds to load it could probably do with improvement! The good news is that improvement is possible, but your hosting package / company is often a factor in this. Your hosting may play a factor in your website’s loading speed. It certainly plays a large factor in your satisfaction with your website in general. Hosting is where your site sits on the Internet. If it goes down often, or is subject to inexplicable slow-downs from time to time, it may be time to look at moving hosting packages or hosting company. Often it is the support given by a hosting company that is the make-or-break factor. Good communication and speedy support from hosting companies can seem rare – so if you can find that, hold on to it if possible and get them to upgrade your package. 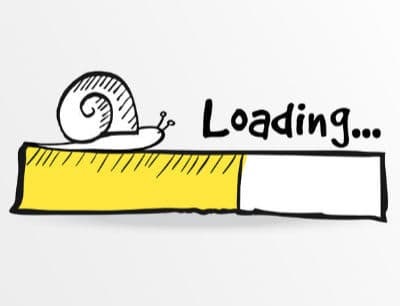 Related post: Is Your Website Loading Speed Hurting Your Business? 4. Are you restricted by the functionality available to your website? Many package-based websites have limitations on the plugins and software you can use. Most of us want our businesses to grow, and in order to do that, we need tools that will facilitate that. It could be that you’re finding yourself short on time and you need to automate more aspects of your business, or that you need to expand and the service provision that was fine when you started out will no longer cut it. Perhaps the technology that your site was built on doesn’t support plugins or has a limited number. If you need more options, it could be time to look for a new website platform. Examples of features that can really help a business automate and streamline are: calendars/events plugins with Google and iCal integration, ecommerce software, complex form builders, payment gateways, automatic social media integration, photo and video features, autoresponders and much more. 5. Is your website not appearing in search or does it convert poorly? 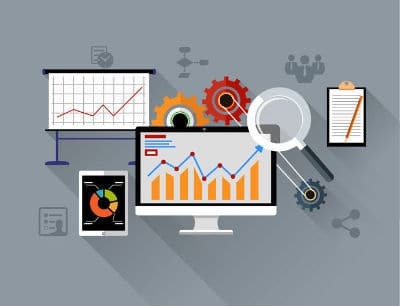 Whilst search optimisation and sales processes can certainly be improved on any given website, you may feel that among other issues, these compound things to the point where it may be easier to start over… to totally rewrite your content, and approach your sales processes in a different way. It can sometimes seem like more effort to change everything that exists than it is to start with a clean slate with a better plan and goals. It’s a good idea to bear SEO in mind when you create content – not to write for search engines, (you should write for your users) – but to include it in the planning of your content. Similarly, changing sales processes may involve a rethink of your content and site structure. And if you’re going to do that, it might be wise to consider the whole website including it’s design, layouts, colours, fonts and branding! 6. Has your site experienced security breaches? If you’ve ever been on the end of a successful hacking attempt, you’ll know it can be very stressful and anxiety provoking. Often, a hacked website may not be much worse than some spammy adverts or links, but sometimes it can be much more serious. 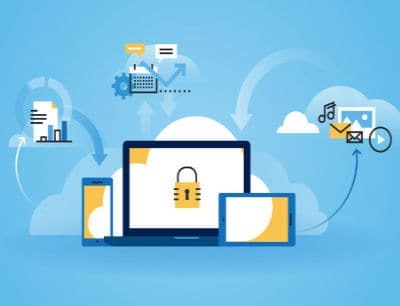 Your site’s security depends on a variety of factors including your hosting configuration, your site’s platform and configuration, your own security habits, how up to date your software is and what security hardening has been put in place among other things. Whether you stay with your current website provider/hosting may depend on how well they responded to a hacking attempt. You’d need to be confident that remedial work had rectified the security holes and that the site has been cleaned or restored properly. If you’ve never been hacked, you’ll still want to be sure that the relevant measures are in place to keep your website safe, and crucially, that backups are regularly made so the site can be restored easily should the worst happen. Finally, if your site doesn’t have an SSL certificate (the padlock that shows in your browser’s address bar) then browsers like Chrome and Safari are now flagging that up as ‘Site not secure’ in the address bar – which of course should alert you to the fact that users are going to find that unnerving and may not trust your site because of it. You get a little Google rank boost for having a security certificate too, so it’s worth doing. would you like a Free website Consultation? 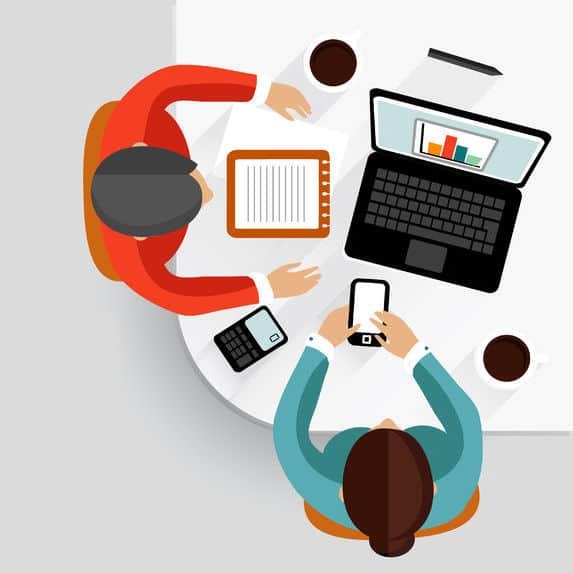 A website consultation with one of our web professionals is the fastest way to learn what you need to know about maximising the potential of your existing website, or creating a new one. This no-obligation consultation can be made over phone, video (or in person in the Bristol area). Just enter your details below and we’ll set up a date! We'd like to send you our awesome monthly helpful blog articles straight to your inbox, as well as the occasional offer. Please check the box if that's ok. We won't spam you. Pinky promise.